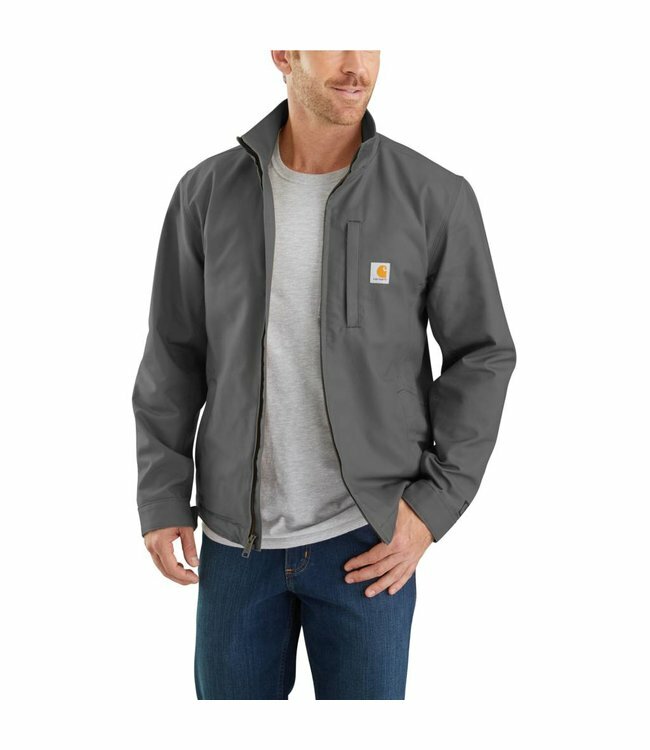 This men's everyday jacket is made to move and built to last. The Quick Duck canvas is lighter than our traditional sandstone duck, but ounce-for-ounce as tough. It's flexible enough that you can swing a tool without a problem, plus it's finished with a water-repellent coating so you stay dry in light rain. Back length: Large regular: 27.5"; Large tall: 29.5"